This group will consist of groups and individuals who reside in a select area west of spawn. The purpose of the Coalition will be to encourage beneficial cooperation between parties in matters of land disputes, transportation infrastructure, social events and other matters of importance in the Coalition. The Coalition will have no hierarchy, no obligations, and no cost to join. It is merely a way to formalize conversation between interested parties. Last edited by ubiwubikanubi on Wed May 14, 2014 2:31 pm, edited 13 times in total. Honestly? for shits and giggles. Well, everyone knows the Western half of the world is better than the Eastern half. Last edited by MadDogT994 on Wed Apr 23, 2014 5:09 pm, edited 1 time in total. MadDogT994 wrote: Well, everyone knows the Western half of the world is better than the Eastern half. Plus we can make western VC propaganda! I think it's just adding unnecessary complexity. If any rare issues do come out they would be between two groups, no need for half of the community butting in. 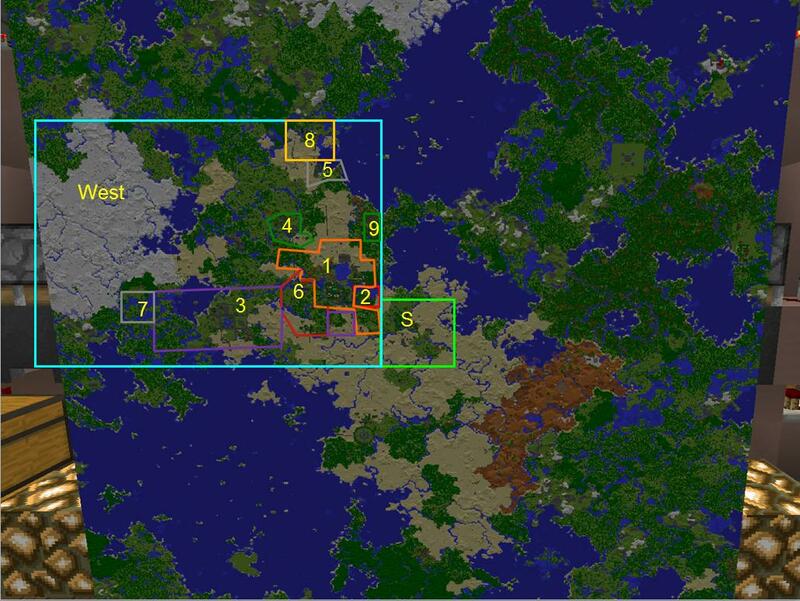 And bringing groups in that area closer exactly matches what we had in v4 with the factions. Are we really in favor of undoing what we did with v6, bringing everyone together and deleting any virtual lines between ourselves? Edit: I just lol'd when I figured out something, Arcation is west as well I think, just above Swa. So it would be everyone excluding TGE. y the hate for TGE! I sometimes forget how much smaller this map is than previous ones. Most everyone is within about 1000 blocks from each other. I like this idea since we're all very close to each other...like literal property lines that touch each other. one thing i enjoyed from V4 was the separation, red vs blue aspect of it. We had it on v5 as well (but that map had all kinds of issues) on V5 for example, most of the yellow faction worked pretty well with eachother and basically were neighborly. a group of groups, at that time factions, was a nice bringing together of sorts. It would be easier just to contact those few groups next to you if there is a build to do, or make a server based project (not a lot of other groups that are not in the west) to promote a server wide community. But do as you wish . Oh and I think that Arcations main base is both west and east as we are near the 0 mark. We get to be special and in everyone's party, Yay. Well there go my hopes and dreams of being a part of the West. I guess I'll just continue hanging out with the penguins all the way up here in the North. Well penguins and Swagrinder, he's pretty close. gogyst wrote: Well there go my hopes and dreams of being a part of the West. I guess I'll just continue hanging out with the penguins all the way up here in the North. Well penguins and Swagrinder, he's pretty close. If this is just for fun I dont see why not. It would be fun to get get a good overhead map of the entire area of our groups and draw up some borders and crap. So we can fight over it lol. You should add Hyperion to the list as they're also west of spawn. jollysaintj wrote: If this is just for fun I dont see why not. And +1 on that idea! V2 where are you guys located?